This is long overdue but the more serious reports are all out for the buyers anyway. I was able to taste these over two tastings. Overall I think 2017 is great for those who are worried that the increased yields would have lowered quality. Most said they were diligent in pruning and green harvest. Though much have been said about the 2017 reds, I have been surprised and shocked even at the brilliance of the 2017 whites. I cannot rave about them enough for those willing to listen to me (mostly my mother). Almost everybody from across different appellations produced fantastical whites. Asking Jean-Marc Roulot about this, the man himself said he believes the vintage was somewhere 2014 and 2015 — two marvelous vintages for whites with 2014 representing finesse and 2015 representing power. Instead of going in dept on each and every cuvee, general observations on each domaine below for your reference instead. Domaine Roulot: Roulot is always great but when tasted this young the acidity completely takes over and it’s hard to taste past it. This year (compared to last year’s 2016s) tastes much rounder, have more depth and more precise. It’s not as wow out of the bottle now but I do believe it will be fantastic if you can get any. Domaine Paul Pillot: Paul Pillot’s wines have been kind of so-so, nothing bad at all and expressive but nothing to rave about. This year’s Paul Pillots are extraordinary—it’s vibrant, intense and alive—the best it’s ever got and great across the board. First of many Chassagne domaines to taste in 2017. Domaine Bernard Moreau: LOVE LOVE LOVE. Hands down my favourite Burgundy white of the tastings (last year it was Michelot). Everything from entry level to the village to the grand cru is magnificent. They have everything you want from a white and more. The fruit is definitely fresh but ripe, there is minerality but elegance, all topped with a floral flinty notes that goes on and on. Domain Michelot: It’s an established favourite of mine already. However this year, the Chassagnes have been completely blowing everybody else out of the water that Meursault (dare I say) seem almost lacklustre at this point? Seriously good and consistent wine though across the board. Domaine Heitz-Lochardet: New domaine to me and a promising up-and-comer considering the press written so far. Chassagne continues to be lovely here and the wines here are clean, pure and precise. Gorg. Domaine Francois Carillon: This is always a solid Puligny domaine for me that tastes well year and year out. 2017 was surprisingly disappointing so far but I think this is an anomaly and not indicative of the final release. We shall see. Olivier Leflaive: For such a big production, I’ve always thought Olivier Leflaive to be a stable and easy to drink producer. This year is the same no less. It’s good bang for your buck. 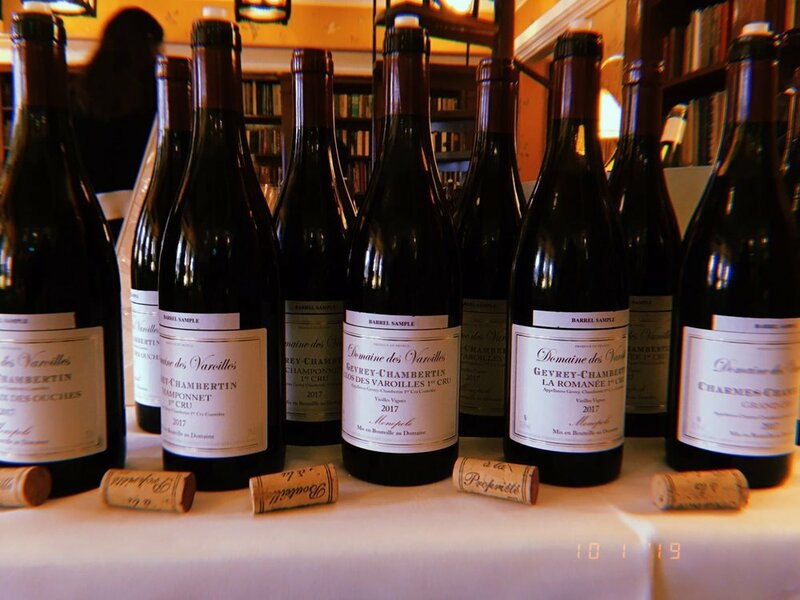 Domaine Bachelet: Bachelet is increasingly a favourite—at a previous line up of St Aubins, Bachelet tasted great even compared to others such as Lamy or Ramonet. Wholly underrated and always good and still so in 2017. Reds are always much harder to taste young and always quite unimpressive compared to whites, which are more obvious. Nevertheless you can tell by the quality of the fruit and general structure to determine potential. Domaine Sylvain Cathiard: Cathiard outperforms every vintage and this year was no exception. Gorgeous fruit with elegance and structure from his NSG, to his VR and VR 1er Cru Malconsorts. Wonderful wines that are built to last. Domaine Hudelot-Noellat: His wines are never bad but doesn’t blow me away like other reds. Still very precise and elegant reds. Domaine Henri Gouges: Slowly and slowly, this domaine is becoming a fast favourite. There is the typical rusticity of NSG however he manages to eke out fruit and elegance along with terroir. Everybody’s hyped up about Charles Lachaux’s but alone I’m psyched about this. Fascinating. Domaine Fourrier: Another great representative from Gevrey. 2017 Gevrey is outstanding. ; the more moderate vintage tempers the typical power and intensity of the region, making wines that are typically overwhelming to something is astonishingly approachable and enjoyable even young. The same can be said for Fourrier this year, with his brimming elegance even with the tense structure and minerality. Always a domaine that needs to age and requires patience that I don’t have. Domaine Lafarge: Volnay 2017 is a mixed bag from what I’ve tasted. Lafarge though was consistent and precise throughout and makes some greatly enjoyable wines. Domaine Serafin: Wow wow wow. How have I not had more of this domaine before? The nose is one of the most magical scents imaginable and I seriously thought I picked up a Chambolle by mistake. The elegance and floral notes remind of the inimitable Leroy—this is one of the reds I regret not tasting more of earlier. Beautiful, elegant and approachable Gevrey like no other. Domaine Berthaut-Gerbet: This is a domaine that I want to know more and more about. I’ve tasted her fiance Nicolas Faure’s wine a long time ago and it’s cool to hear that he essentially works here at vineyard manager. Amelie’s own talents should also not go unrecognised as the purity and elegance of her Fixin is out of this world. Really redefining all Fixin and not something of an afterthought after people are done with their Gevrey/VRs. Domaine de Montille: Always a favourite that is intense yet delicate, rich yet expressive. Compared to the 2016s last year, the 2017s was more expressive and exuberant. Definite wines to look forward to once in the bottle. Domaine Y. Clerget: Last year the wines tasted very dense but showed great promise, however the 2017s are even better. There freshness brings a lot of clarity to the flavours, particularly in very tough and rigid terroir like Volnay. Domaine Jean-Marc Millot: This is another domaine with fresh talent—the daughter, Alix Millot. She works hard and it shows. The Echezeaux shows approachability and depth, an amazing feat considering the mehness of this grand cru. The others wine are also drink well but displaying great potential. The vintage branding feels gimmicky but if it’s works for them, great. Domaine Georges Noellat: Georges Noellat wines have alway been great and the 2017s are no exception. His VRs are gorgeous, intense and built to age with finesse. Buy while you still can is my advice. Domaine Comte Armand: If you have any doubts at all about Pommard, this will relieve you of your worries. Structured, powerful and built to age but always great year in and out regardless of the vintage. Domaine Mongeard-Mugneret: Ths is not always my favourite domaine in VR but clearly the entire appellation seems to have done bloody well in 2017. So much so that really everything from their NSG to the GE is bang up great. Most surprisingly is the elegance of the Vougeout 1er Cru which I’ve never seen before. So good! Domaine Varoille: This is one of my favourite new discoveries in Gevrey. For a wine from this region, it’s always tempered, even and elegant and never too much in the mouth or nose. Even then, it expresses terroir well and is built to age. For a small domaine, it’s doing great and it’s a hugely underrated domaine I wish more people would try. Domaine Stephane Magnien: Another new discovery that is mostly in MSD. MSD in recent years have shot up in price thanks to Dujac, Ponsot and Clos de Tart. It’s increasingly visibility is a good thing, which led me to discover Magnien who makes exception deep and intense wines with elegance. 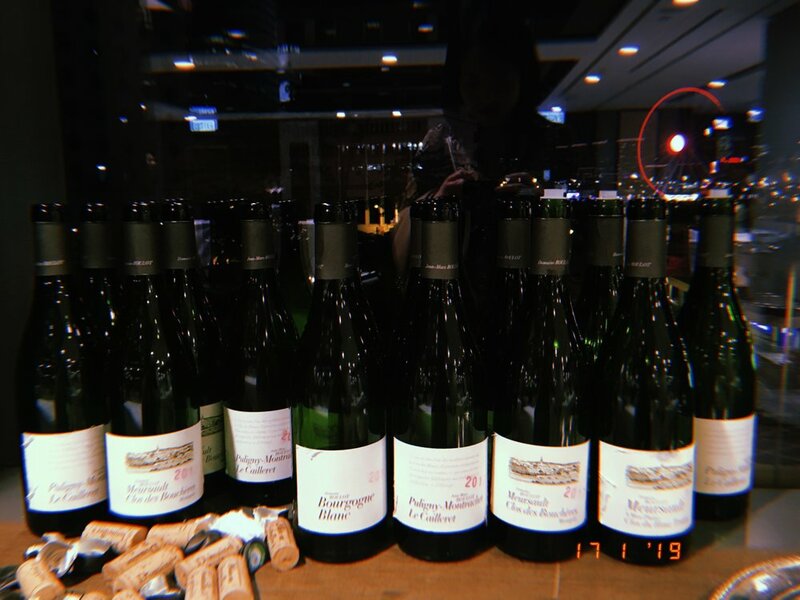 All wines tasted in Hong Kong, January 2018. Have I missed any? What are you favourites? Do tell!